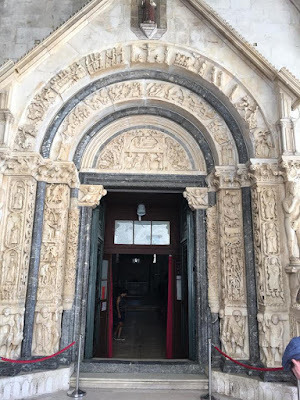 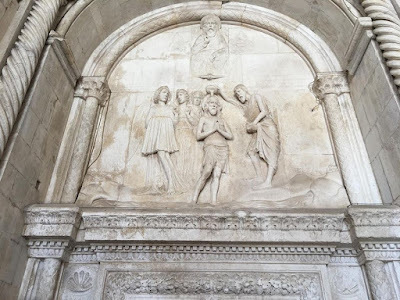 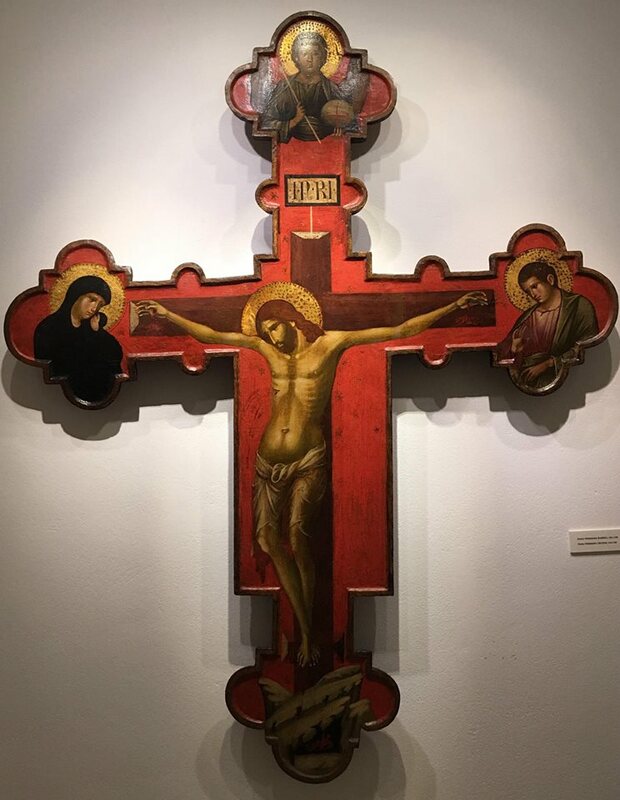 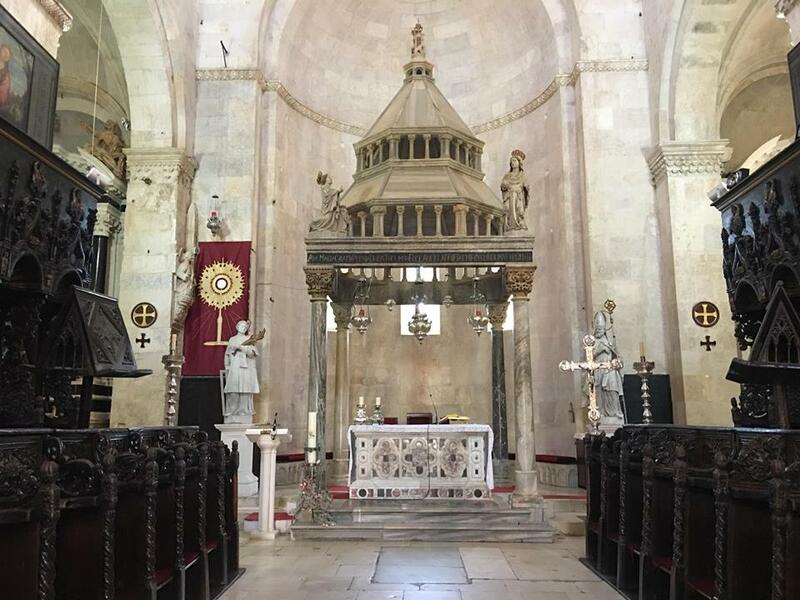 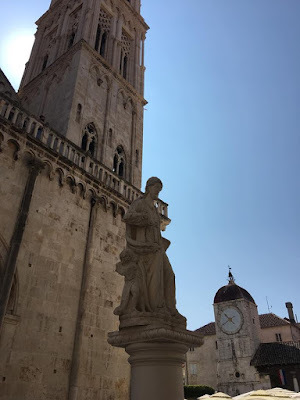 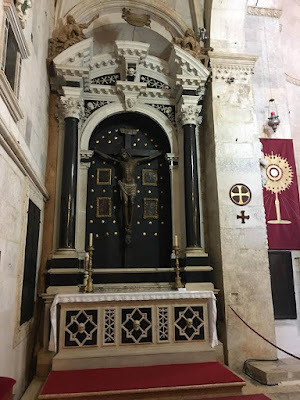 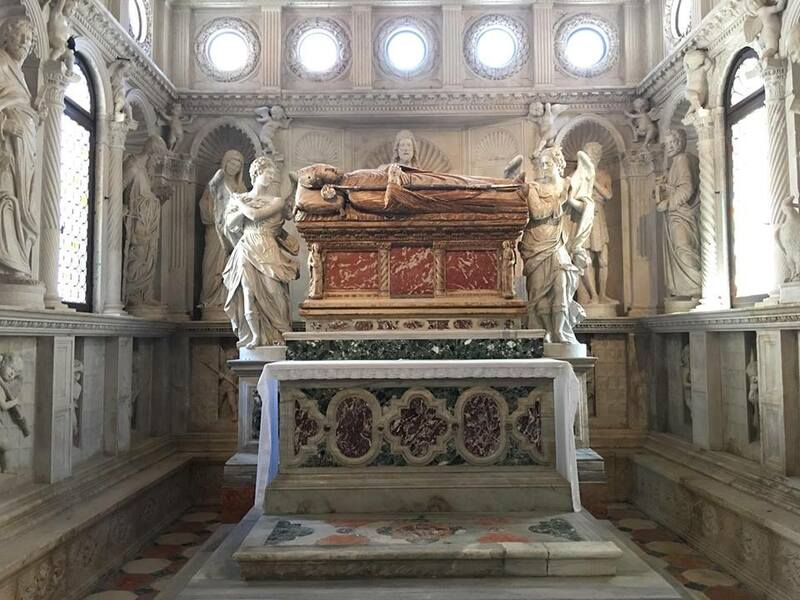 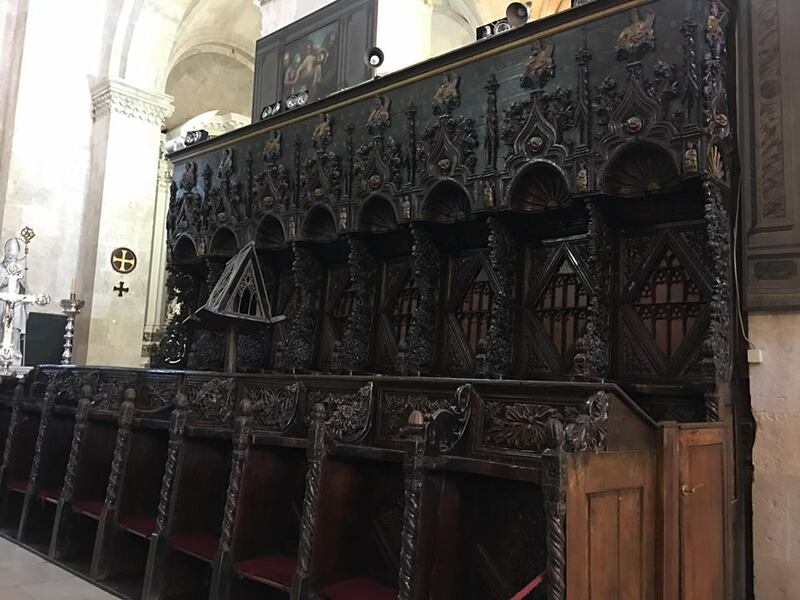 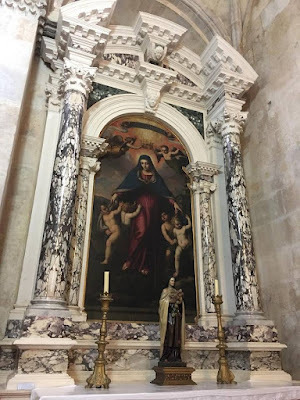 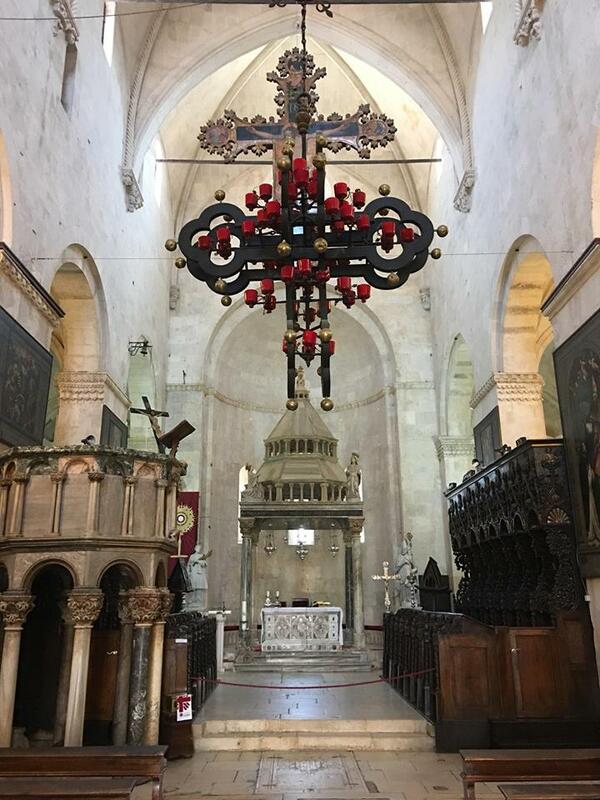 Here is another one of the beautiful churches which Nicola visited this summer during his trip to Croatia, the cathedral of St Lawrence in Trogir, on the Dalmatian coast. 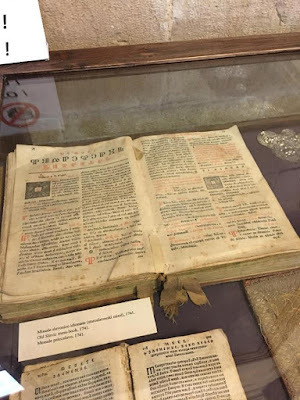 The church was built to replace a very ancient one which was destroyed by the Saracens when they sacked the city in 1123, but not begun until almost a century later, in 1213, and only fully completed in 17th century. 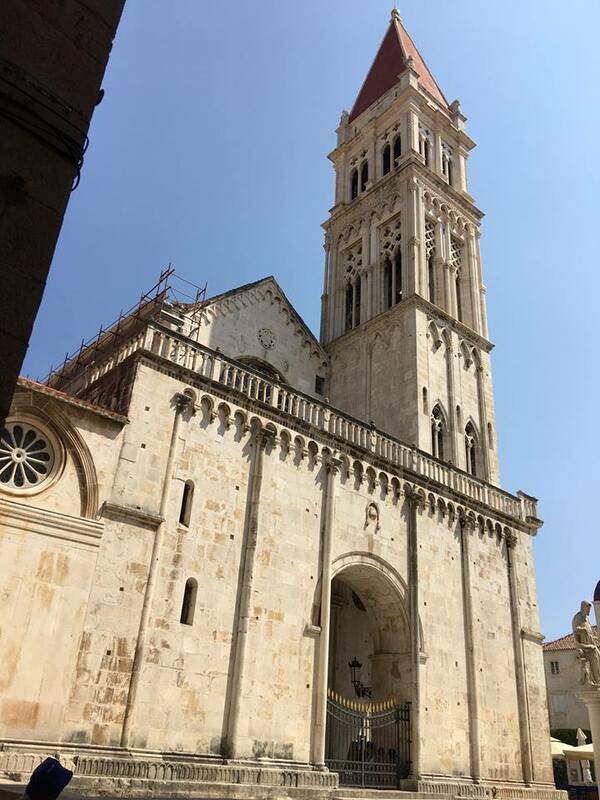 The bell-tower was constructed over the course of 200 years, from the end of the 14th century to the end of the 16th; hence the difference in style between the various stages. The church is especially known for this Romanesque portal, made by a local master sculptor named Radovan, who completed and signed it in 1240. 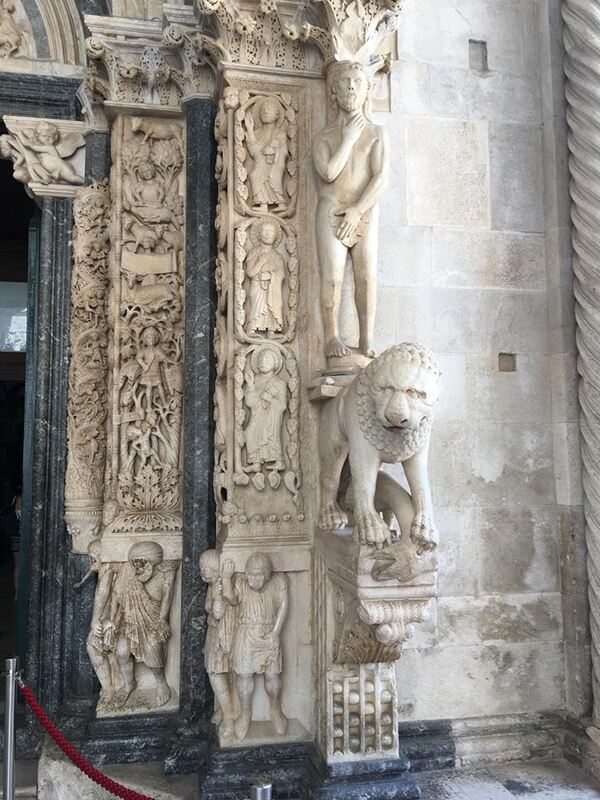 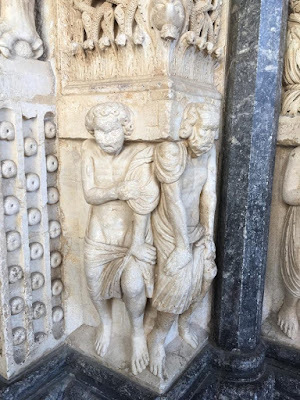 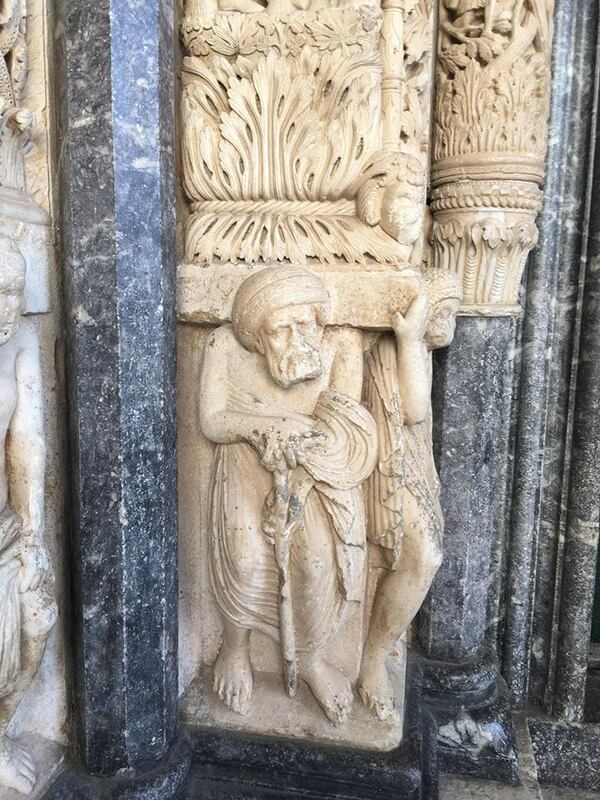 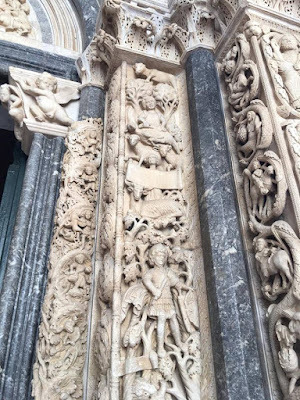 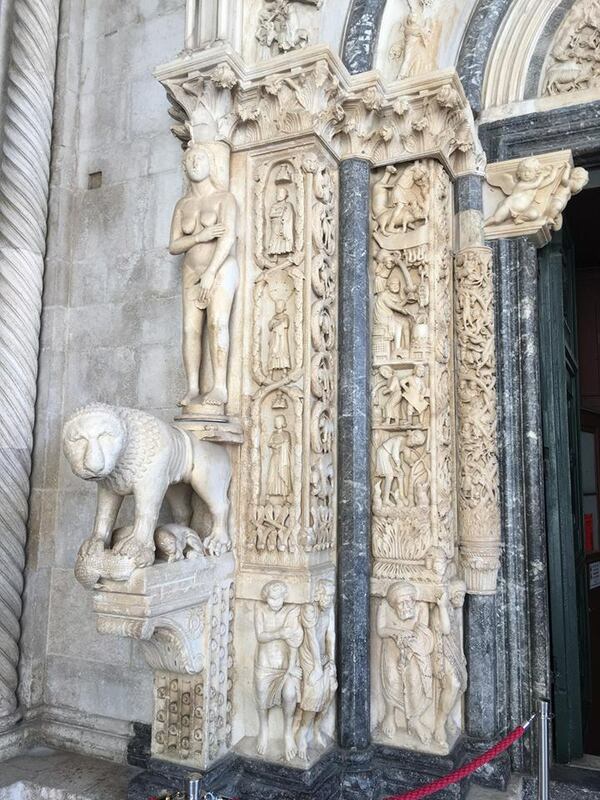 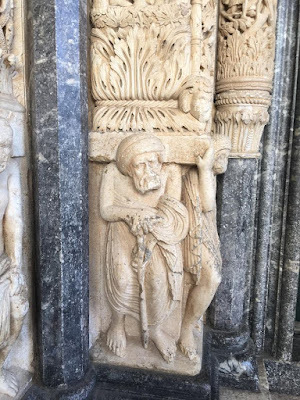 The doorposts are decorated with statues of Eve on the left side, Adam on the right, the Apostles and other Saints, images of the labors of man, the months of the year, and a variety of fantastic creatures typical of Romanesque sculpture. 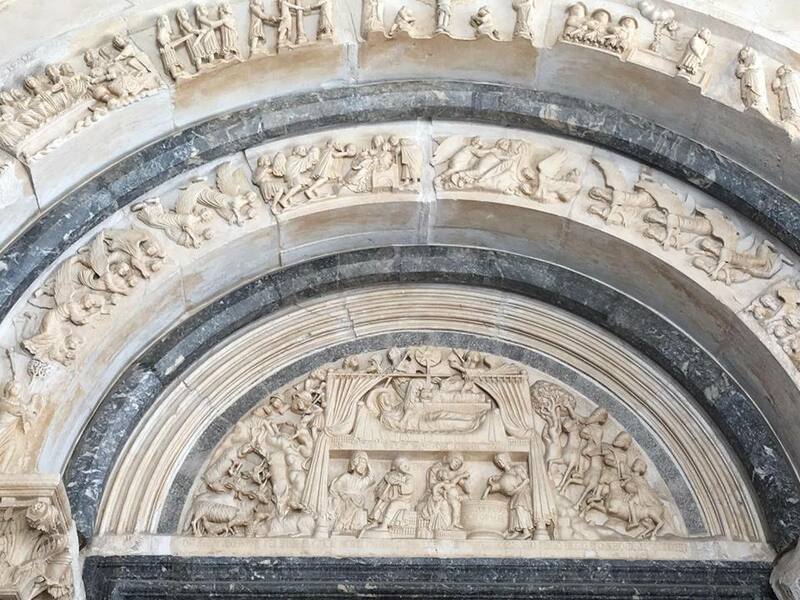 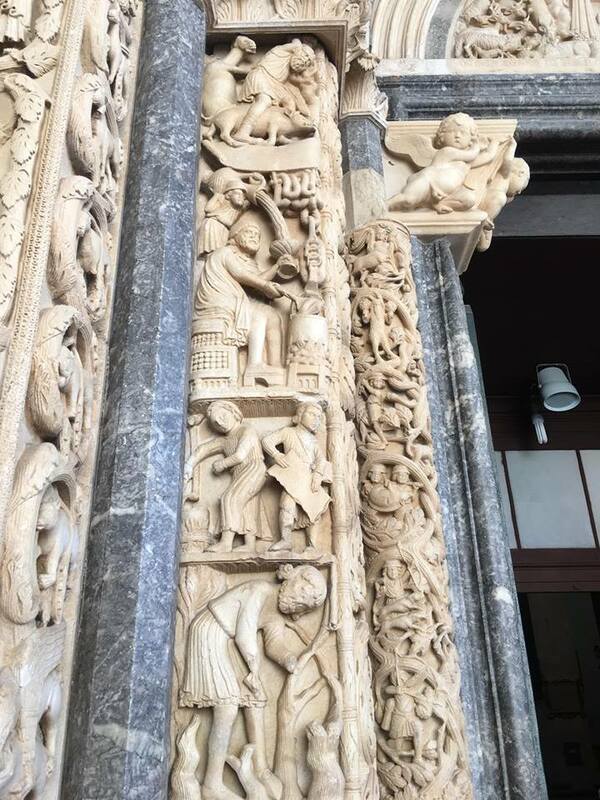 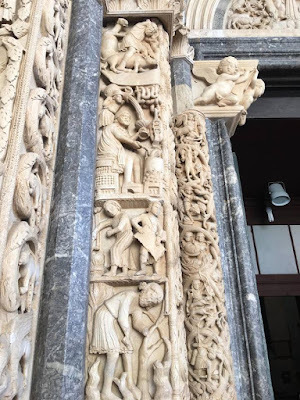 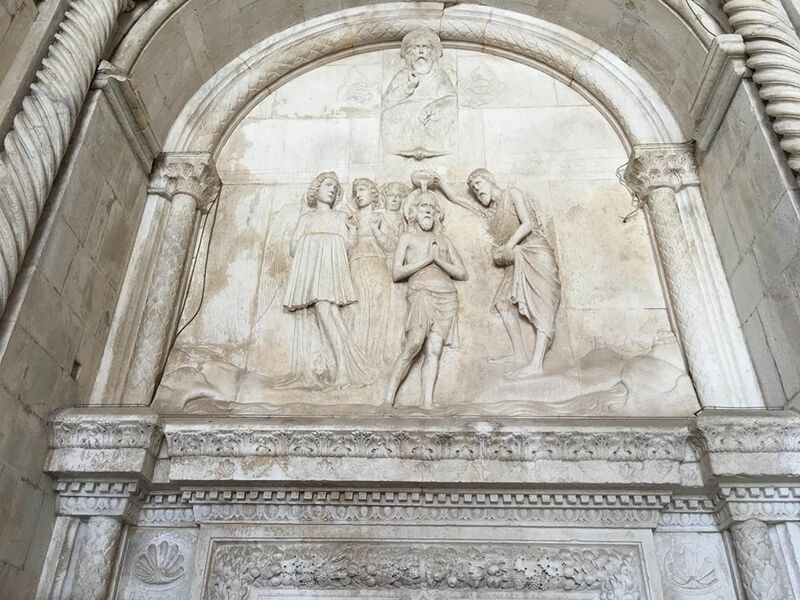 The tympanum shows episodes from the life of Christ, in the midst of a large number of angels. 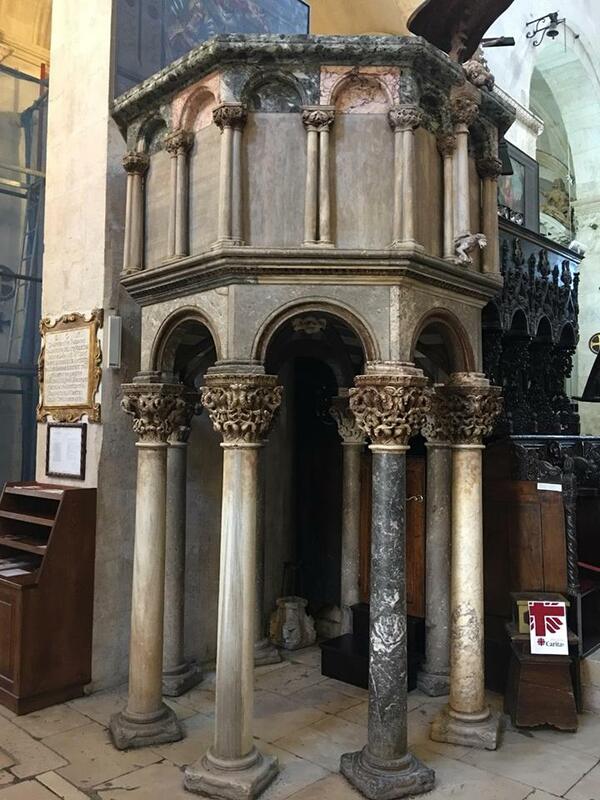 Note the representation of the Annunciation on top of the baldachin, with the Archangel Gabriel kneeling on the left, and the Virgin Mary on the right. 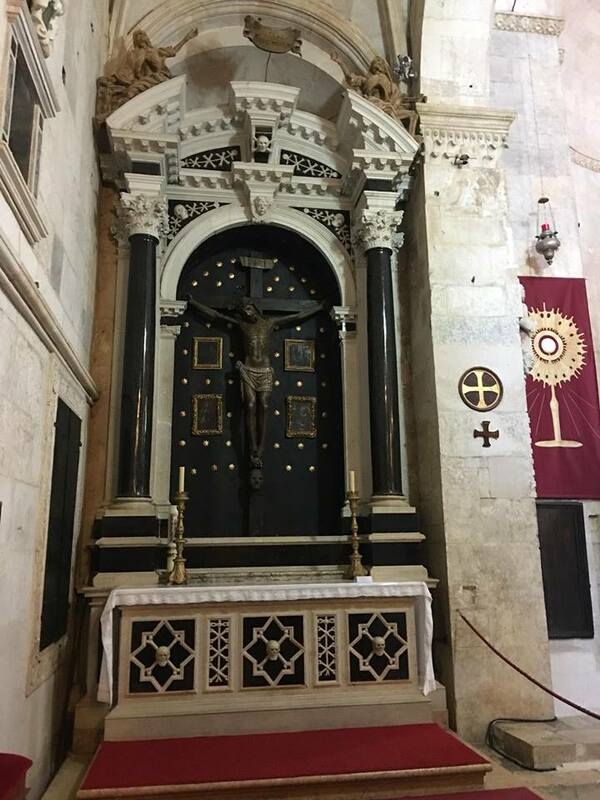 The altar of the Cross, specifically used for Masses for the Dead; note the skull and crossbones in the cornice above. 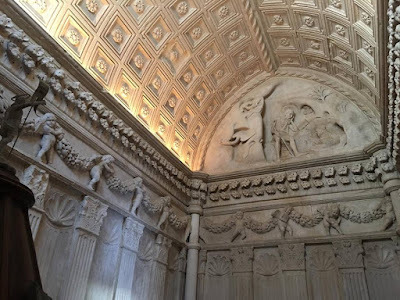 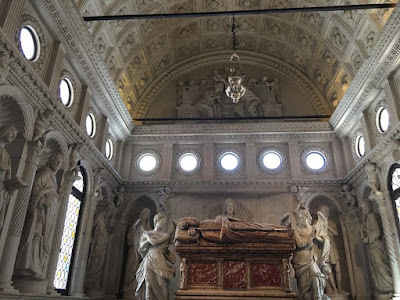 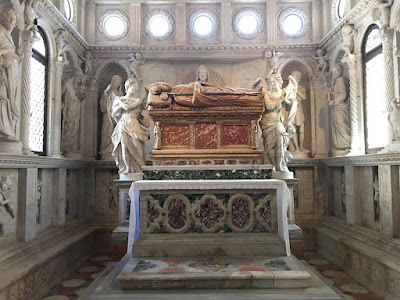 The chapel of Giovanni Orsini, the work of Andrea Alessi and Nicolò Fiorentino, 1468-72.